Christmas is almost here and you aren’t satisfied with your decor? 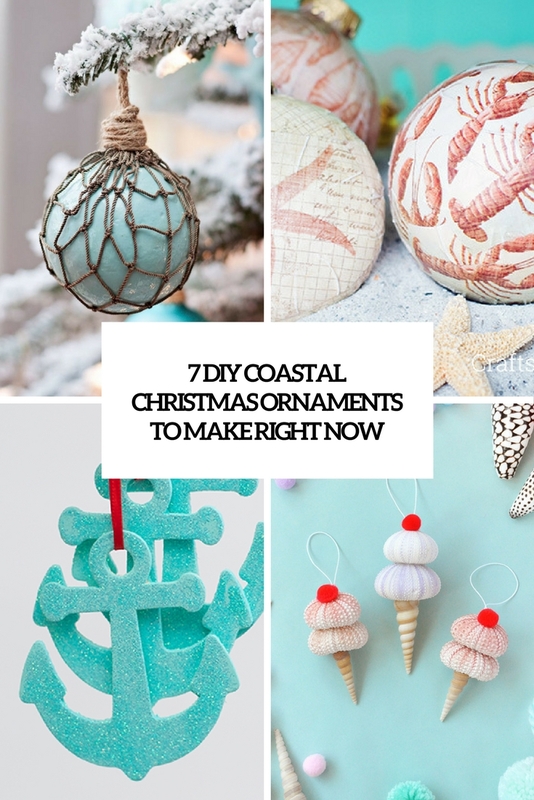 Make some cool ornaments to add to it and today we are sharing a short roundup for those of you who are going for a coastal Christmas. 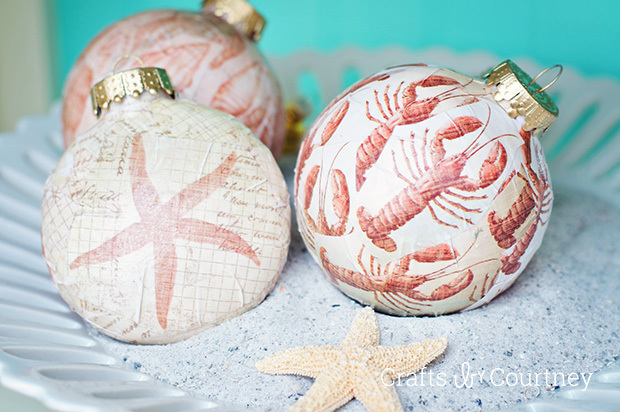 Make these cute ornaments to make your coastal decor more special! Want some ice cream? 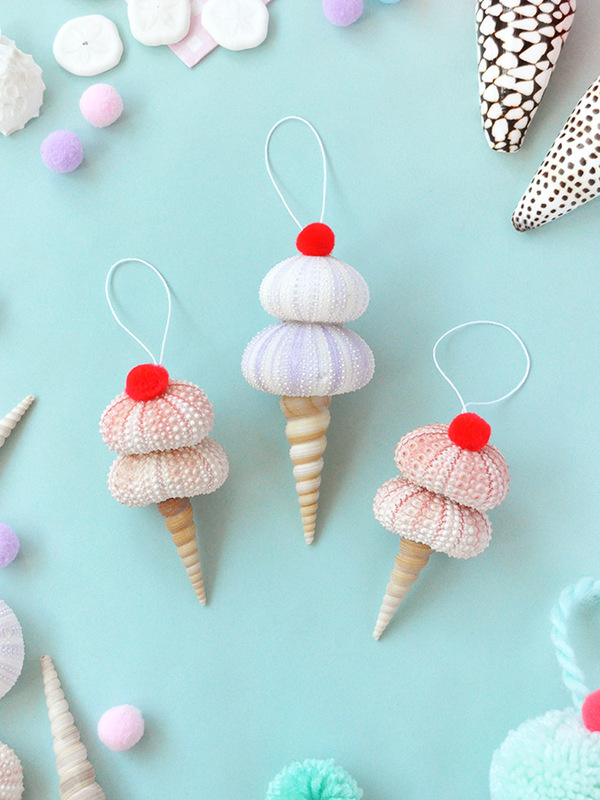 Make these cute ornaments of shells, add colorful pompoms and twine – nothing difficult and you’ll get fun and whimsy ornaments for your coastal Christmas tree. 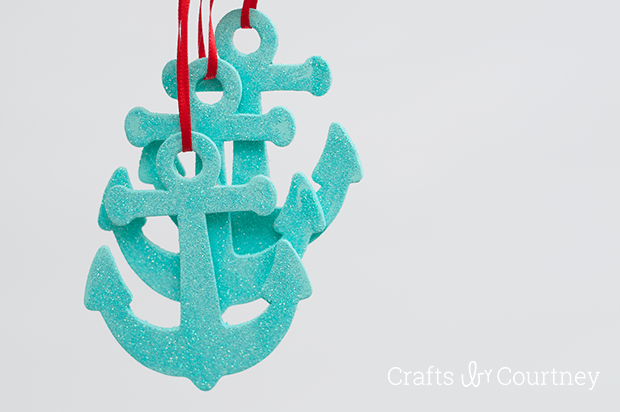 Get or cut out some cardboard anchors and make them festive using glitter and turquoise paint! 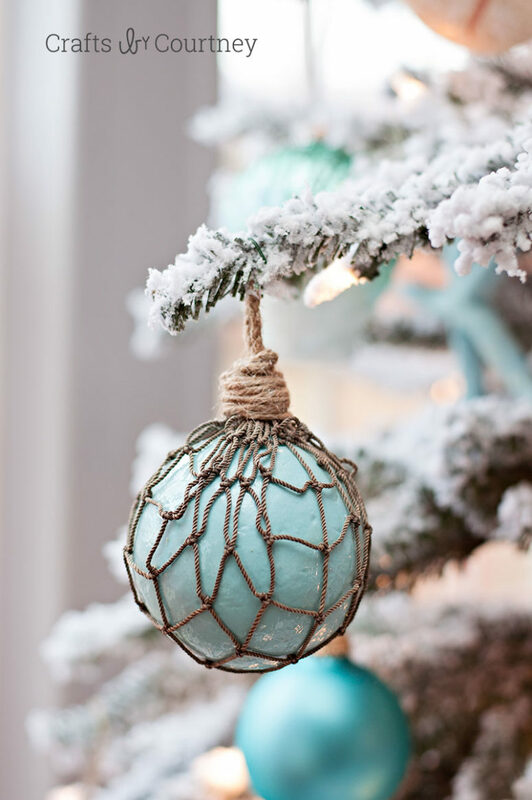 You can also make fun turquoise crab ornaments, too, to match the anchors and make the tree decor complete. Have a couple of starfish? 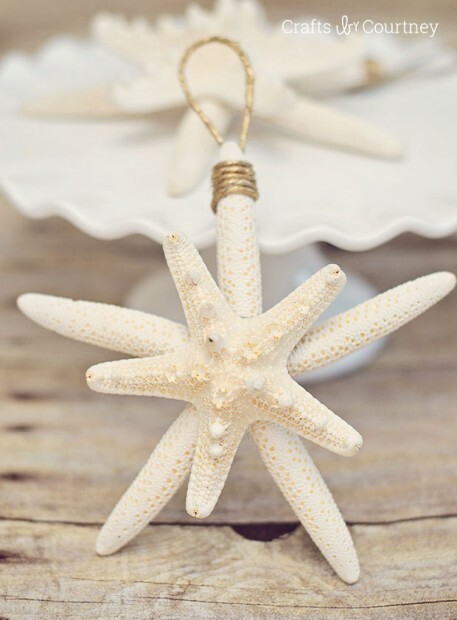 Turn them into cool and natural starfish ornaments! Combine these starfish ornaments with some bold and colorful ball ornaments for an eye-catchy look. 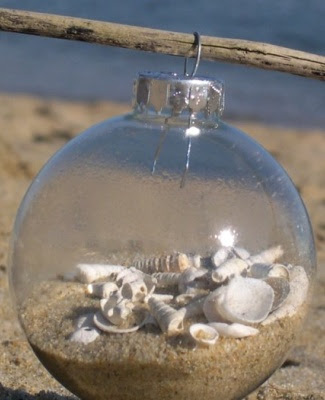 A clear glass ornament can be turned into a pretty beach decoration – just take some beach sand and put some little shells and pieces of driftwood inside. Make several different ornaments and hang them on the tree or some branches arrangements. If you are familiar with decoupage techniques, you’ll love this craft. The ornaments are made using decoupage and some scrapbook paper, choose nautical and beach-inspired paper for decorating the ornaments. 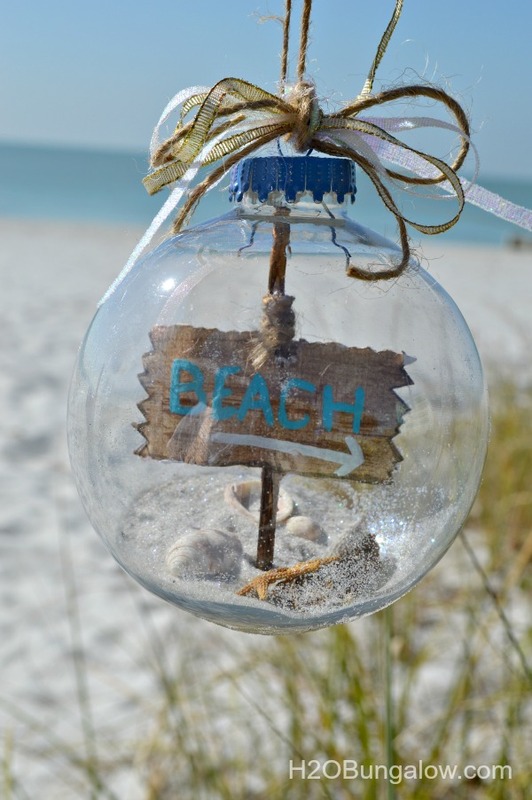 This is another glass ornament filled not only with sand and shells but also with tiny beach signs. Read how to make these cuties in the tutorial and enjoy! Floats are characteristic for coasts, and you can make some faux float ornaments for Christmas trees. These little ornaments are made of foam ornaments, turquoise paint and fishing net. They look super cute and unusual!